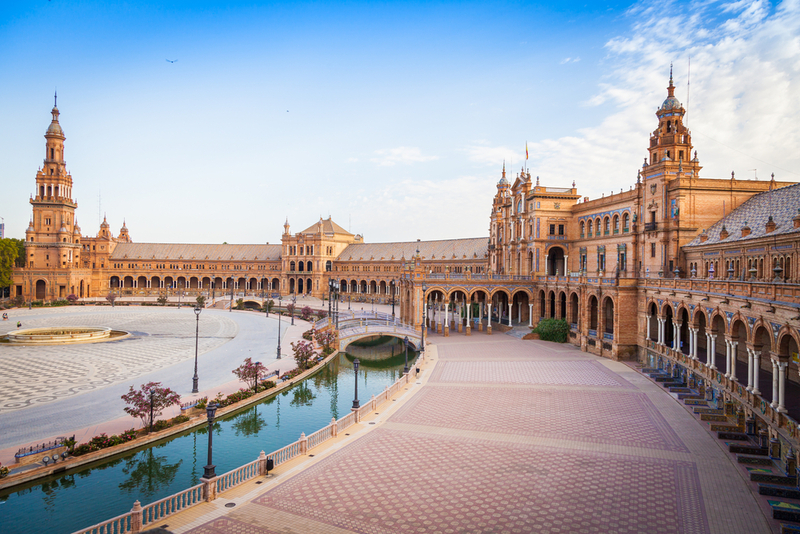 Seville, the capital of Spain’s Andalusia region and renowned the world over for flamenco dancing. With much of the city built during the Moorish ties there is much to see including the 18th-century bullring and the site of Christopher Columbus’s tomb. 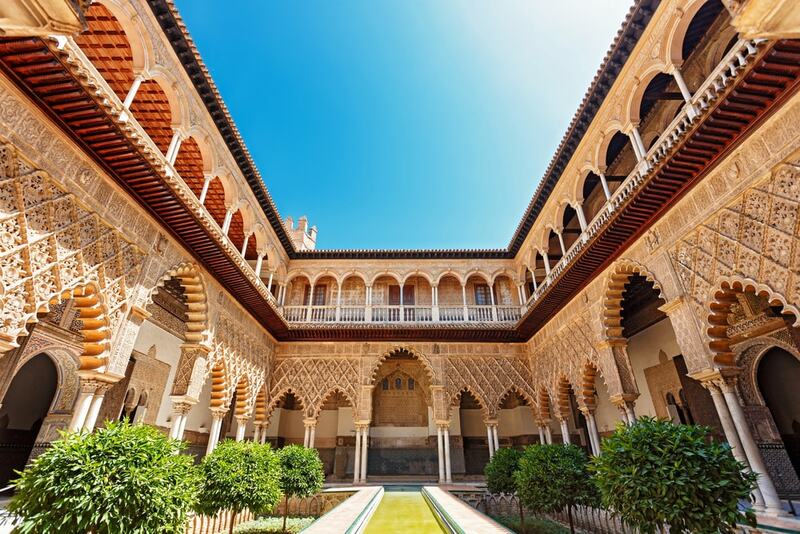 Here we’ve put together 10 places that you must visit while in Seville to really make the most of your stay. Constructed mainly during the 1300’s – the so-called ‘dark ages’ in Europe – this place is amazing, especially on the inside. It was made a World Heritage Site in 1987 and with fascinating and detailed architecture it’s easy to see why. This is one of the highlights of the city and definitely one not to be missed! Seville is well known in the world of opera, especially as a setting, and these days they try to bring the opera to more people by putting on shows (‘Opera tablao’) in the Arenal market. The Sevilla de Ópera Club, a group of fans, singers and music lovers, puts on the performances and being in Seville makes it seem so much more enjoyable. Located in the old stables of the Palacio de la Condesa de Lebrija. The cultural centre gives visitors and locals shows that are said to be the most intimate and authentic flamenco shows in the city. It’s very popular and there are not many seats (just 10) so be sure to book in advance. Seville’s not especially known for infused teahouses that look exotic, but when it comes to Baňos Árabes in Santa Cruz than an exception can be made as this place is just peace and serenity amongst the beautiful artwork. This controversial structure has divided opinion in the city and was opened in March 2011 in the Plaza de la Encarnación. It is said to be the largest wooden building and has an undulating honeycombed roof which is supported by five giant pillars that look like mushrooms, hence its local name, Las Setas de la Encarnación (the mushrooms of Plaza de la Encarnación). Standing on the original site of the immense 12th-century Almohad mosque and with the mosque’s minaret still standing next to it this huge cathedral is one of the largest Christian churches on the planet and it’s only when you get up close that you see and appreciate its size. Definitely one for the bucket list! Hippy, Bohemian, Contemporary, Retro – many words describe the wonderfully different Redhouse. Odd chairs and modern wall art attract all ages from families to the retired, all sampling some of the wonderful fare on offer. Often they’ll be enjoying on of the many events held such as poetry readings and fashion shows. An experience in Seville that’s unique! Andalusia is Spain’s capital for tapas and Seville is the heart of tapas in the province and so you can expect the very best, and latest ideas, in this tucked away little street in the Arenal Quarter. The place is pretty, the staff good-looking, and the drinks refreshing, you cannot leave Seville without sampling the best of tapas from where it belongs! escape from the hustle and bustle of the city amongst beautiful flora and fountains and canals. This peaceful setting is also home to wildlife too with duck ponds and birdlife amongst locals taking a siesta. The Parque de María Luisa is the ideal place to relax or stroll in tranquillity in the heart of the city. Formerly a hospice for elderly priests the Hospital is now home to arguably Seville’s best and most popular art collections. The 17th-century baroque-style building was refurbished and opened in 2007 by the Focus-Abengoa Foundation wto help revive Seville’s artistic culture. Hiring a cheap car with Goldcar would be a great way to see Seville and the beautiful Andalusia region and with our constantly updated fleet including LPG gas, electric and Hybrid cars you have the very best in comfort, safety for your car hire without spending all your holidays savings! Find out online and see the promotions and offers on car hire that have helped make Goldcar a market leader in car hire. Seville city is a doorway to the past. We inspire you to find out 10 things you must do while in historical city that will make you feel in another era.